Journalist David Weigel, who resigned from the Washington Post last month after a leaked-email controversy, is joining Slate as a political reporter. "I'm thrilled to be joining Slate, thrilled to be working with writers I've read and respected since logging on to read it meant enduring a symphony of dial-up clicks and hisses," Weigel told The Upshot. "This is the magazine that invented the sort of journalism I want to do," he continued. "And I'm very pleased that I'll get to continue working the beat I developed at the Post, the Independent and Reason." Slate Editor David Plotz told The Upshot that Weigel will launch a blog covering politics, but not exclusively on the conservative movement, Weigel's area of expertise. Weigel is also expected to write long-form pieces. "We’re delighted to have him," Plotz said. "He’s a ball of energy and fearlessness and curiosity." The Slate gig caps off a whirlwind few months for the Washington reporter and blogger. The Washington Post hired Weigel from the Washington Independent in March to write a blog about the conservative moment, a beat he’d excelled at in recent years. But Weigel’s tenure was cut short after FishbowlDC and the Daily Caller published emails he wrote on Journolist, an off-the-record, left-leaning listserv. On Journolist, Weigel had harshly criticized a few conservative political and media figures, raising questions about whether he could be perceived as a fair arbiter in covering the movement for the paper. Weigel offered his resignation, and the Post accepted the following day. And that led, predictably enough, to an avalanche of meta-media debate about whether reporters can share personal opinions and still be perceived as reporting fairly. Plotz said that Weigel "paid a price" for his comments on Journolist. "But I don’t think it in any way reflects on his editorial independence, his skill as a reporter, his writing, his energy and his curiosity," he continued. Weigel may have lost the Post job over his off-the-record comments, but he wasn’t completely out of work for long. Within days, he signed on as an MSNBC contributor and filled in for Andrew Sullivan on Sullivan's popular blog, the Daily Dish. Slate contacted Weigel shortly after he left the Post to discuss what he could do for the online magazine (which, oddly enough, is owned by the Washington Post Co.) Plotz said that the Post Co. has been informed of the hire, but pointed out that Slate is "editorially independent from the newspaper." 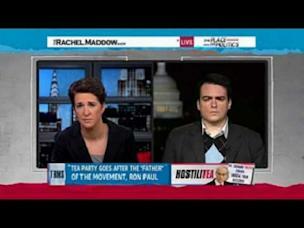 Since leaving the Post, Weigel wrote a freelance article an the tea party movement for Slate. Now he's signed a one-year contract with the publication, which Plotz said he hopes will last longer.